Egypt bombed ISIS targets in Libya today, in retaliation to the grusesome beheading  of 21 Coptic Christian Egyptian workers a day earlier. 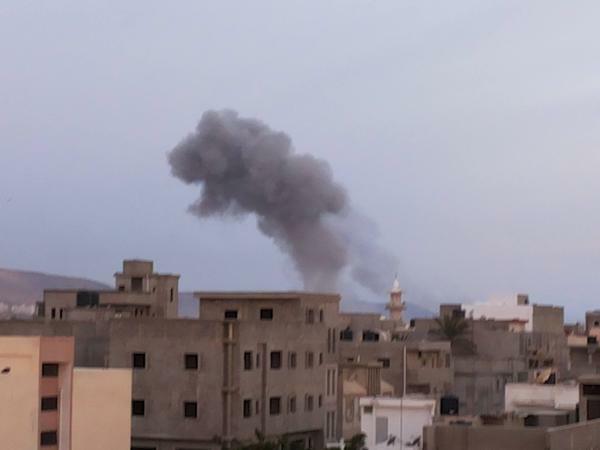 According to news reports , about eight attacks targeted camps, training sites and weapon storage facilities in Derna, which has been taken over by an ISIS affiliate last year. #Egypt  coordinated with #Libya  to hit #IS  in #Libya : 5 houses belonging to #IS  commanders and the "IS Islamic Tribunal" hit by airforce. On its Facebook page, the Egyptian Armed Forces shares this footage  of its fighter jets taking off for the airstrikes on Libya. #ISIS  will have hoped to provoke #Egypt  airstrikes in #Libya  – this fits perfectly its vision of escalating conflict & chaos in the region. In Arabic, the hashtag #ضد_التدخل_العسكري_المصري_في_ليبيا  which translates to Against the Military Intervention of Egypt in Libya has been active.